You might think the below image is of cookie dough about to be baked, but you would be wrong. Have you ever had Buckeyes before? Well below is a Buckeye before it gets dunked in melted chocolate. What we have here are peanut butter balls. The cookie dough is kind of runny and has to be dribbled on a parchment-lined baking sheet with a spoon. At first I was a little nervous about this because I was afraid they weren’t going to bake up properly but indeed they did. 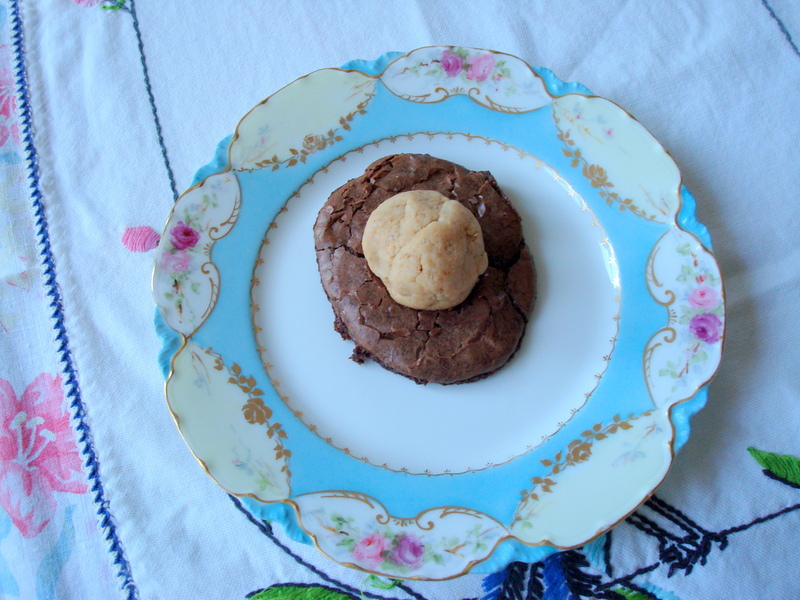 They result in a fudgy, soft cookie that makes for a perfect vehicle for the aforementioned peanut butter balls. 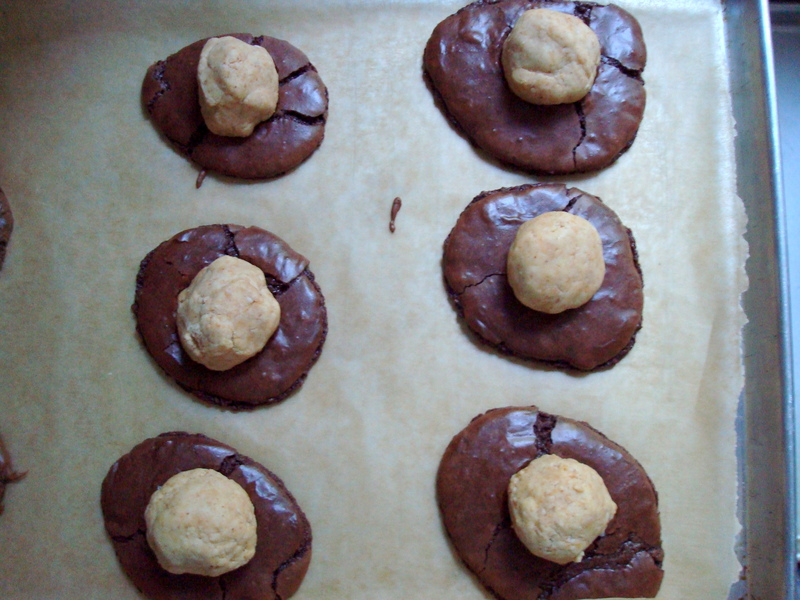 You place the pre-made PB balls in the center of the cookies when they are fresh out of the oven so that they meld together into a beautiful final piece that is greater than the sum of its parts. There is no better combination that exists than peanut butter and chocolate together. Perfection. In cookie form. To make the peanut butter balls: in a large bowl, combine powdered sugar, butter, and peanut butter. With clean hands begin to work the mixture together. The butter and peanut butter should come together to create a stiff but pliable dough. (I had to add 2 additional tablespoons of peanut butter to make the dough come together but I think that’s because I use natural peanut butter which tends to be a little more dry.) Roll dough between your palms to create 16 small walnut-sized balls. Place on a clean cutting board or cookie sheet, cover with plastic wrap, and set aside. To make the cookies: in a small bowl, whisk together flour, baking powder, and salt. Set aside. Place about 2 inches of water in a medium saucepan and bring to a simmer. In a heatproof bowl, combine butter and chocolate chips. Place the bowl over but not touching the simmering water. 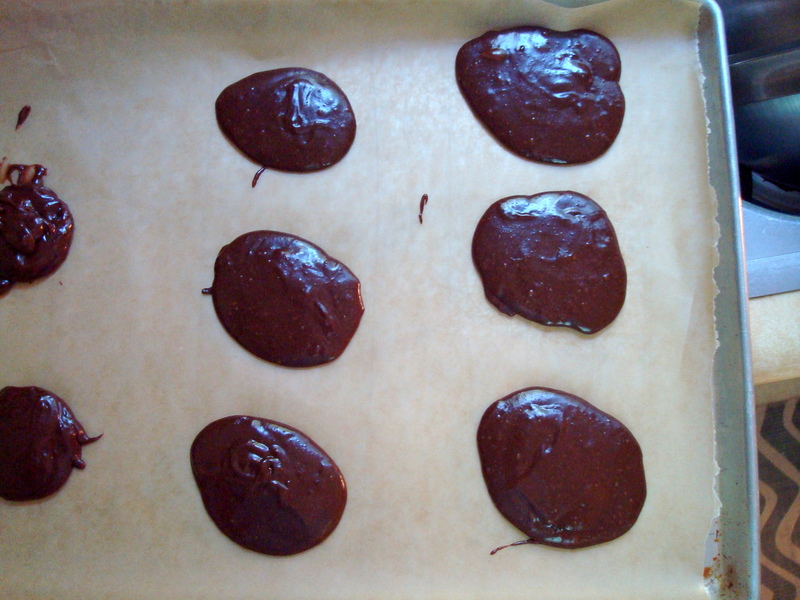 Heat until chocolate and butter have melted together. Remove bowl from heat. Add the melted chocolate to the egg mixture and fold together. Once entirely incorporated, stir in the vanilla. Fold in the flour mixture with a spatula until thoroughly incorporated. The mixture will be glossy and loose. Spoon heaping tablespoonfuls of cookie batter onto the baking sheet, spacing the batter 2 inches apart. Bake for 10 minutes until crackled on top, but still fudgy in the center. 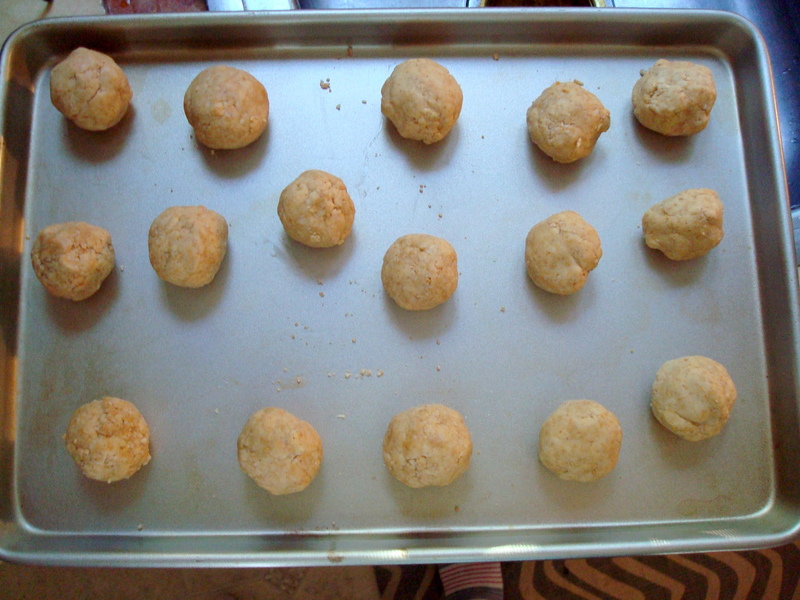 Remove from oven and immediately press a peanut butter ball into the center of each cookie. The warmth will help meld the two together. Allow cookies to cool on the cookie sheet for 10 minutes before removing to a wire rack to cool completely. Cookies will last, well wrapped, at room temperature for up to 4 days. Buckeyes please! This is an official request.